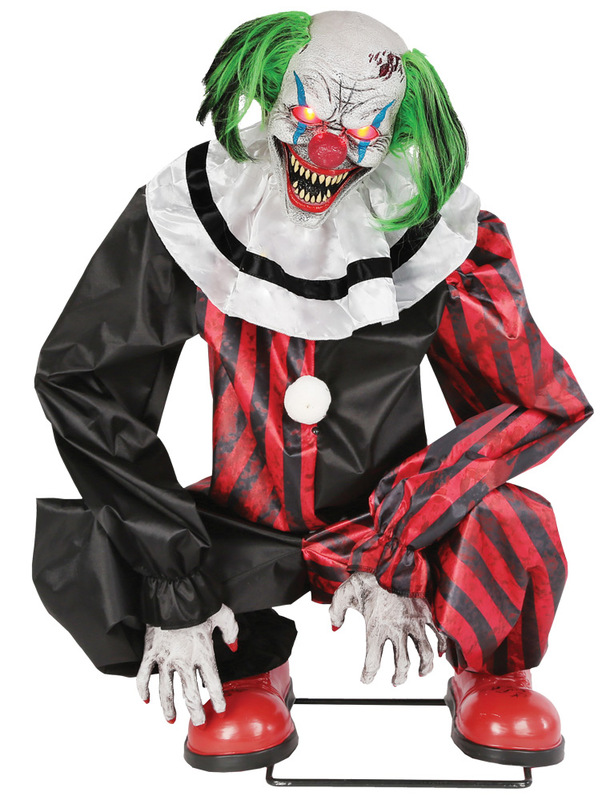 Very creepy clown crouches down and rocks side to side in a menacing way. His eyes light up and he has a sinister laugh, while nightmarish carnival music plays in the background. Plug the UL power adapter into any standard outlet and choose from Steady-On, Infra-Red Sensor or Step-Here Pad (included) activation options to operate. The infra-red activation options to operate. The infra-red sensor works up to 6.5' feet away and works in all lighting conditions - bright light to no light! Item includes volume control. Easy-to-assemble quick-connect poles. Includes Step Here activation pad. Assembly required.